Beaches in the summer? Of course. Beaches in the winter? That works too! These five southeastern beach towns make an ideal family vacation all year round, but they are especially nice in colder months when you can explore their myriad attractions without the guilt of dragging the kids from their sandcastle. Even when it’s too cold for dipping your toes in the water, the southern coast holds a world of excitement. Explore these amazing southeastern beaches to visit in the winter. Charleston is known for her southern charm and dynamic restaurants, but it’s also an unassuming beach town that works for the entire family. Begin your journey at Folly Beach, where the sunrise energizes you for a jam-packed weekend of adventure. Touch-tanks and scavenger hunts await kiddos at the South Carolina Aquarium, and a tour aboard the Patriots Point Naval & Maritime Museum will fill an afternoon. Bundle up in the evening for a walk along Waterfront Park, and don’t miss the opportunity to snuggle on the boardwalk swings while viewing the USS Yorktown lighting up the night sky. We recommend spending your evenings at Kiawah Island Resort, where you can also ride bikes and listen to the waves lapping on the shoreline. 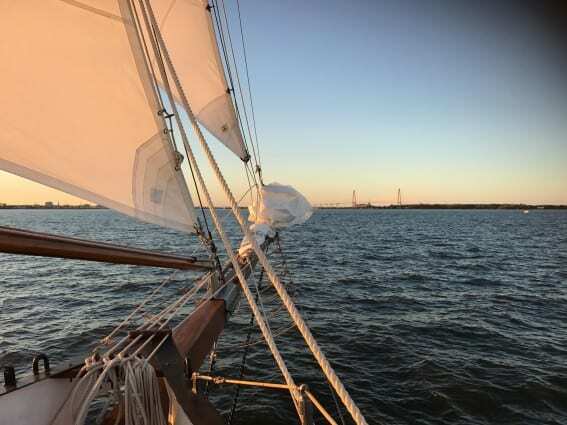 Explore our guide to historic Charleston with kids. St Simons Island consistently wins awards for being a must-visit beach town in America. Winter offers an ideal time to explore the island’s rich history. 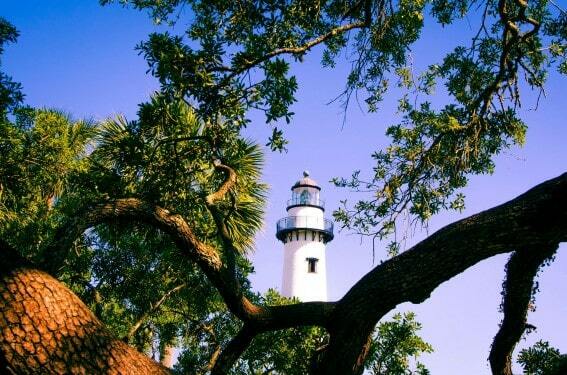 Kids will adore the climb to the top of the 1872 St Simons Lighthouse Museum, with gorgeous views of the water – be on the lookout for dolphins! You also don’t want to miss Fort Frederica National Monument where kids don uniforms of British soldiers and help “protect” the site from Spanish incursions. When your history lesson is over, grab a bike to cruise the extensive island path system, or hop aboard the trolley for a ride past one of many island tree spirits and Christ Church, Frederica – Georgia’s oldest church which has held worshipers since 1736. Vacation rentals are your best bet for a weekend (or weeklong) getaway. Before visiting, check out this ultimate guide to St Simons for hotel recommendations and more. 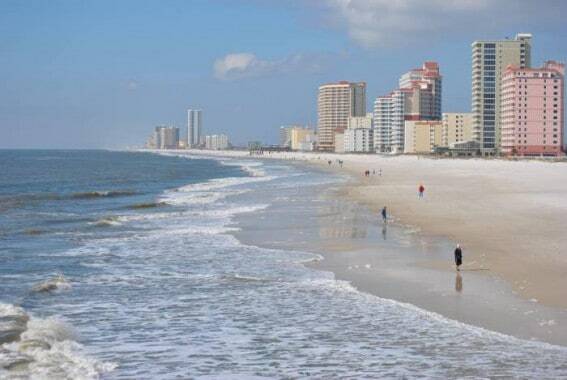 Most people don’t associate beaches with Alabama, but the white-sands of Orange Beach should not be overlooked. Quartz grains rolled in from the Appalachian Mountains thousands of years ago, leaving shorelines ripe for memorable family vacationing. Start at the Estuarium at the Dauphin Island Sea Lab for hands-on exhibits and touch pools. Near the ferry to Dauphin Island you can also explore Fort Morgan State Historic Site. A visit in January or February allows you to join the Winter Civil War Tours, which are exceptional. If your little one loves animals, don’t skip Alabama Gulf Coast Zoo where you can hold and cuddle with baby animals like kangaroos, lemurs, tigers, and more. Follow that with a dolphin cruise aboard a glass-bottom boat for an exceptional day. The Beach Club allows guests a condo-like stay, spacious digs and plenty of kiddo-friendly activities. Explore the Alabama Gulf Shore with Kids. How can you go wrong with over 300 miles of coastline in North Carolina? 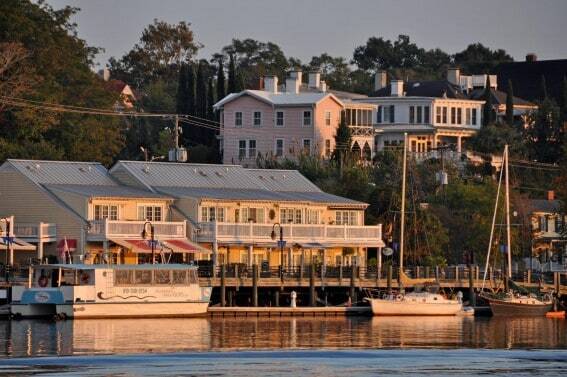 There’s plenty of options here, but the small coastal town we love for families is Wilmington. To be sure, you want to also visit in summer, but winter offers its own special fun. Spend time aboard the USS North Carolina; kids can even steer the ship and “fire” the guns of this decorated WWII vessel. If your crew is more into trains than boats, then chugga chugga over to the Wilmington Railroad Museum. You’ll find 20 model railroad, a life-size caboose and a 10-yr old steam engine. 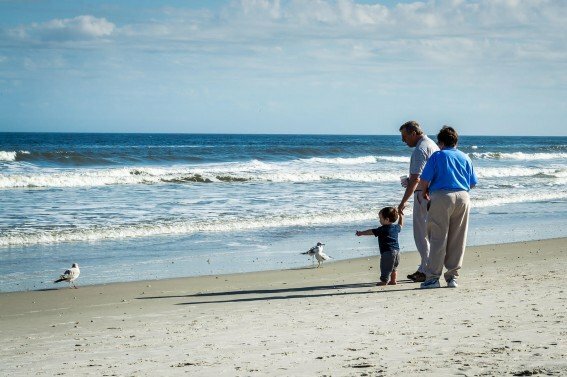 Even if it means tossing on a few layers, you can’t miss a stroll along one of three nearby beaches: Wrightsville, Carolina or Kure. In fact, the NC Aquarium at Fort Fisher in Kure Beach is a favorite NC beach attraction among Trekaroo reviewers. Your best bet for a hotel is Holiday Inn Resort Wrightsville Beach– with oceanfront rooms, a kids club, restaurants and beach access. Big city and beach town join together at a crossroads in Jacksonville. Spend time at the Jacksonville Zoo, featuring over 2,000 rare and exotic animals. Then, jump over to the Cummer Museum of Art or the Museum of Science and History – or both! Kids will love the Jacksonville Hands On Children’s Museum featuring a TV station, fire and rescue center and more. If you want to see the best sites, then hope aboard the E2ride Bike Tour for a guided tour along the beach – families with kids as young as 3 months are welcome! Want something more leisurely? Try the Johns River Taxi Tour, showing off the city from Friendship Park to the Northbank. No matter what, do not miss a stop at Sweet Pete’s. It is a local candy factory with daily tours and candy making classes in the heart of Downtown Jacksonville- truly a modern-day Willy Wonka factory!